It is my pleasure to present you with an overview of our activities in 2018. It has been a successful year with the Ostrogorski Centre serving as a hub for producing articles, policy papers and events relevant to the transformation of Belarus. 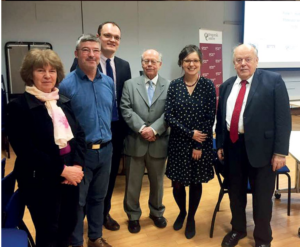 In 2018, education-related work moved to the core of the Centre’s activities. 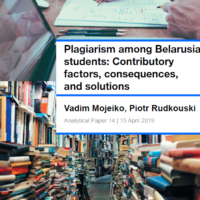 Following an open call for proposals, we selected several applications to tackle important problems, which Belarusian higher education sector faces – from plagiarism and teaching techniques to improve the quality of scholarly publications of Belarusian authors. 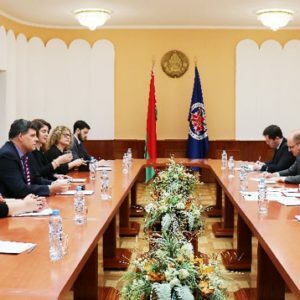 In collaboration with leading Belarusian think tanks, the Centre arranged a series of meetings with experts from other countries as well as a major conference in Minsk in December. 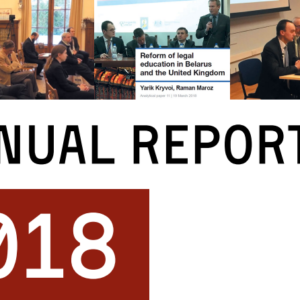 We already published policy papers on non-formal education in Belarus, reform of legal education, and new forms on practice-oriented business education with more to come in 2019. In addition, we published a major study on Belarus-Lithuania relations. All our papers are normally published in Belarusian or Russian and English. 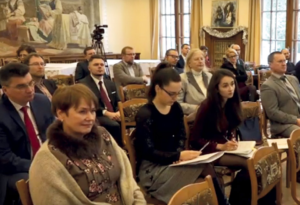 The Ostrogorski Centre disseminates its work not only using traditional publications, seminars and conferences but also by maintaining a video archive of all conference panels with text summaries of discussions. This approach helps us to multiply the effect of meaningful discussions and the impact on policymakers through the Internet to a much wider audience. All videos are kept in a dedicated archive on Ostro.by. What our audiences are interested in? Belarus Digest, our main English-language media outlet, continues to provide balanced information for both Belarusian and foreign audiences who desire to know more about Belarus, its politics, society and economic development. According to the web site’s statistics, our articles on travelling to Belarus have become more popular than political articles, which is a missed blessing. On the one hand, it is good that the country is becoming more open and people want to visit Belarus – the visa-free regime certainly facilitates it. 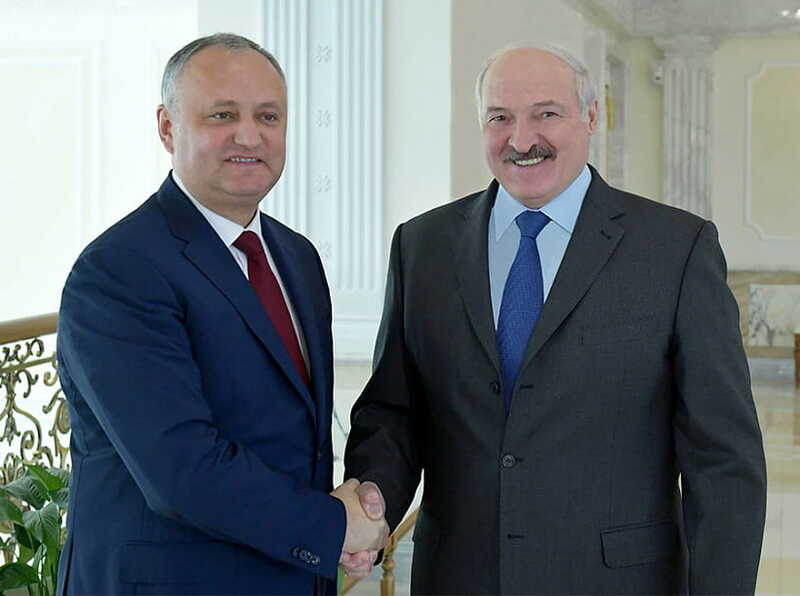 On the other hand, the reduced interest in Belarusian political and economic problems is an indication of less interesting in Belarus in the world, despite the increasingly assertive Russian foreign policy. BelarusPolicy.com – our database of policy papers now contains around 400 full-text papers with abstracts in Belarusian, Russian and English and download counters. It is interesting to compare its different language versions. While people visiting the Russian-language version are primarily interested in economic issues, the foreign policy section is the most popular with those visiting the Belarusian-language and the English-language versions. Overall, studies of the Belarusian army, public procurement, the Belarusian ruling elite and the possibility of the authoritarian modernization of Belarus generated most interest in 2018. The Ostrogorski Academy shows a different trend where most popular videos related to the history of Belarus, more precisely with the Belarusian view of the Grand Duchy of Lithuania. The views of this course in the Belarusian language by far exceed the second most popular course dealing with theory and practice of economic crisis (in the Russian language). Most people find our videos on YouTube and share them on social networks. UK ambassador to Belarus, Fionna Gibb. Our Journal of Belarusian Studies was included into the Scopus database in October 2018, confirming its role as not only the oldest surviving but also the most academically rigorous journal on Belarus in the world. The 2018 issue has already been published featuring high-quality publications of authors from Germany, Czech Republic, Belarus and other countries. Most of our activities in the United Kingdom are self-funded and help us to fulfil the two important goals of the Centre – to locate and engage Belarusians working in the West in policy analysis and other activities related to Belarus, and to popularise studies of Belarus in Western Europe and the English-speaking world. In 2019, we plan to strengthen our work on facilitating the reform of the higher education sector in Belarus as well as our policy analysis in the area of foreign policy and civil society. We will continue to work on reversing the brain drain so that Belarusians, regardless of where they are based, contribute to better governance in Belarus, hopefully in cooperation with policymakers. As the same time, we will continue help Belarusian think tanks, experts and scholars to become more integrated into international scholarly networks, databases and events through Belarus Digest, the Journal of Belarusian studies and other successful projects of the Ostrogorski Centre. I would like to thank all our supporters and collaborators. We remain open to your ideas about new research projects, events and other initiatives. Please do not hesitate to get in touch with me. The full Annual Report of the Ostrogorski Centre is available here.